Africa in the aftermath of cyclone Idai (ee-day). The dead won’t be known until the waters subside but millions are affected and the second and third waves of crisis are yet to come as cholera, malaria hit and a food crisis looms. Mozambique – first reported cholera death. 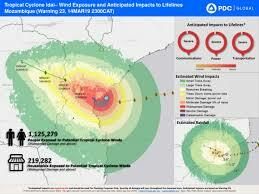 Malawi – the issues in Mozambique and Zimbabwe have also affected Malawi but on a smaller scale. 16,000 households have been displaced or destroyed, crops ruined and and waterborn diseases are on the rise. Malawi has many more NGO’s activated per capita than its neighbors. China – I decided to make a list of articles that, if read in conversation with one another, will give you a clear picture of what’s going on there. The first article is behind a pay wall at NYTimes, but all the others are free. The President ordered all U.S. federal aid suspended to Honduras, Guatemala and El Salvador This are FY2017 and FY2018 funds allocated, but not yet distributed the Northern Triangle of impoverished and gang-ridden Central American nations. 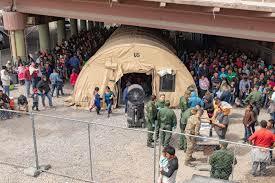 The President has also threatened to close the border with Mexico if our southern neighbor does not do more to dissuade asylum seekers from seeking to migrate. And oddly, people in the media seemed most concerned about access to avocados for their toast. The movement of people from South (Venezuela) and Central America north may be greater than the migrant flows we’ve seen in recent years from North Africa and the Middle East into Europe. Understanding the history of human migration is a good investment of time. Are you wondering why so people are seeking to leave Honduras, Guatemala and El Salvador at risk of their lives to come to the United States? Read this. Meanwhile, life in Venezuela continues to devolve. Maduro has called on armed groups to keep order amid electricity rationing and U.S. President Trump and Russian President Putin face a potential red-line moment in terms of the Russian military presence backing Maduro. Race, Religion and the future of American Evangelicalism offers analysis of the changing American landscape and provides good fodder for conversations at your next church planning/prayer meeting. 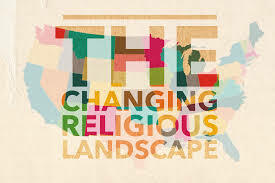 Want to know more about children growing up in American faith communities which are not Christian? CBS News takes you inside the world of American children of minority faiths. This is a must watch documentary. 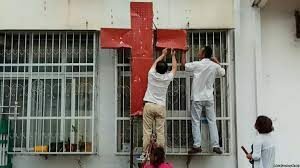 You’ve got a degree but can you get a job in nursing or education if you’re a Christian? That’s now a real question. CCCU President says Christian college nursing and education students are being black-listed. Oh, and if you’re pro-life but you’re also pro-traditional marriage, well, then you’re not free to speak at Cornell. Cornell Univ. disinvites black Christian pro-life speaker because she believes in biblical marriage. The intersection of race, gender, religion, and politics is complicated in today. Unplanned movie opens at #5 even without support of mainstream media and despite R rating. 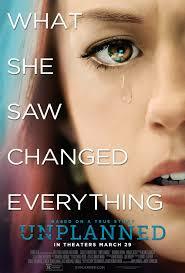 Please pray God will use this film to change hearts by changing minds by opening eyes. Fetal heartbeat bills now passed in five states. Georgia joins Iowa, Kentucky, Mississippi and Tennessee in passing laws protecting infants once they have a beating heart. Judges in both Iowa and Kentucky have blocked laws in those states as unconstitutional. While the ultimate goal is the protection of life, it is clear that politically the goal is to get the Supreme Court to reconsider the court’s 1973 decision in Roe v. Wade which created a right to abortion in America.